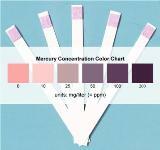 Mercury Test Strips with Concentration Color Chart - Order Now for Only $29.99! 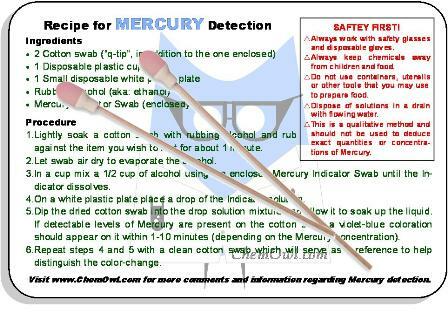 Concerned about Mercury in your water?... 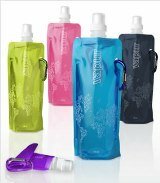 Just Check It! 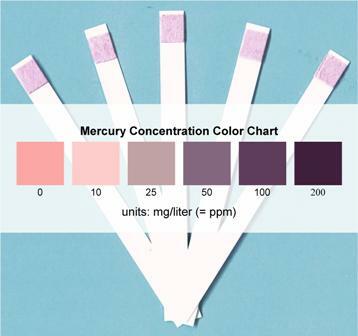 We're happy to offer our user-friendly Mercury test strips, including our specialty Mercury indicator and corresponding concentration color chart. 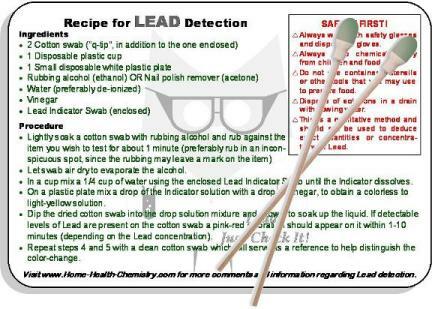 Our easy-to-follow, fast and accurate detection method will tell you how much hazardous Mercury is in your drinking water or any other water solution you want to test. It's also a great science fair project idea. Mercury’s toxic effects can cause damage to the brain, kidneys, and lungs, with symptoms including sensory impairment (vision, hearing, speech); lack of coordination; loss of hair, teeth, and nails; memory impairment; and insomnia. 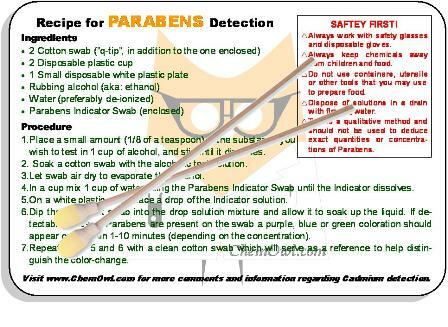 Mercury testing is made easy by simply placing Home-Health-Chemistry's test strips in a water-based solution and comparing the color change to the provided reference card. 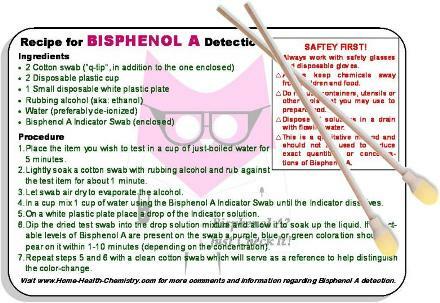 The test strips contain the exact amount of indicator required for easy and safe handling. 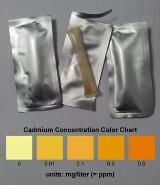 You will receive 5 Mercury test strips and an instructional card describing how to carry out the screening procedure, with a concentration color chart ranging from 0 to 200 mg/liter (0 - 200 ppm). 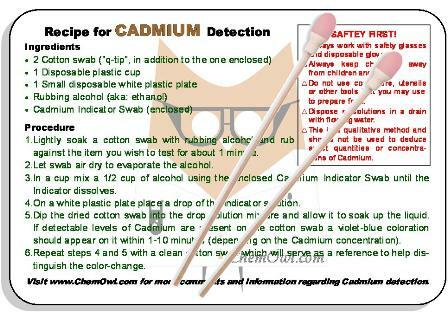 You'll be able to check drinking water as well as solid samples by mixing or dissolving them into water.